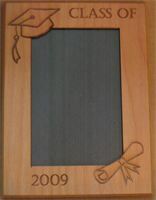 These Red Alder Wood frames can be customized for any occasion (Sports, Graduation, Wedding, Anniversary and more). 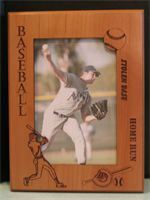 Each frame starts with a solid front and is laser cut and engraved creating a unique display for your favorite photo memories. 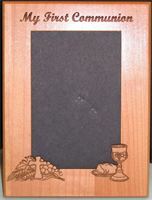 The designs shown below are just a sample of the many options available. Please contact us with your specific frame request.